The past couple weeks or so have been taken up by focusing on the Clean and Simple Design Team competition for the summer season. The theme was a trip to the amusement part and I wanted to share my entries with you. Challenge 1: You are walking into the amusement park and meet the photographer who wants to take your picture. 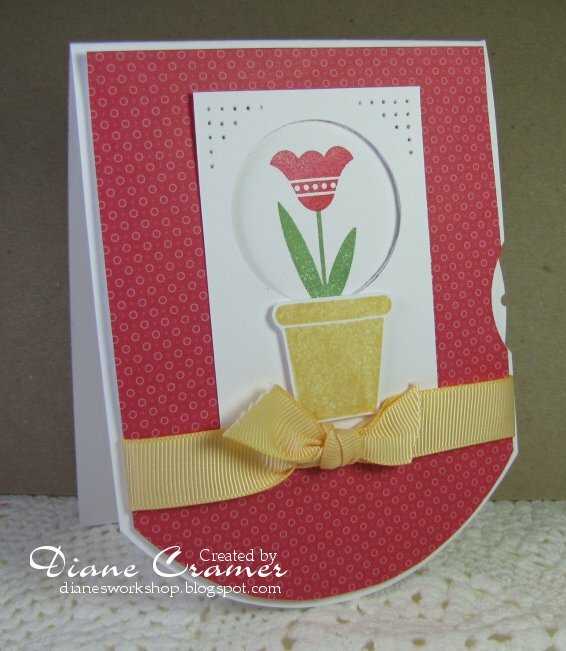 Make a card that 1)has a person, character, or group as a focal point, 2)add a tiny bit of bold, flashy ribbon, bonus points for adding texture as well, 3)keep it clean and simple. 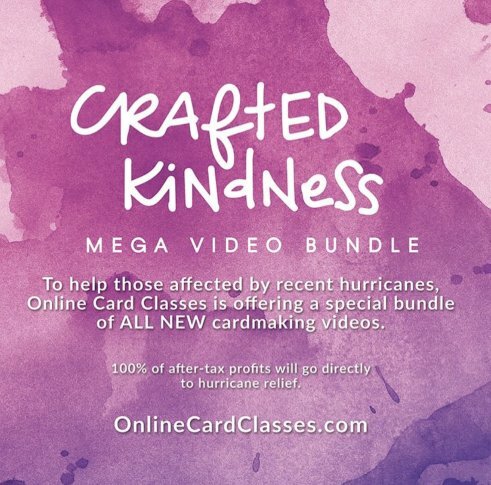 Click here for details on supplies. 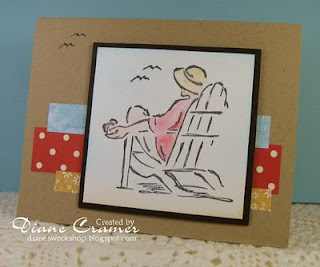 Challenge 2: Make a card with a summer theme. After challenge 2, Jen narrowed the field to 20 people who would continue to the semi finals. 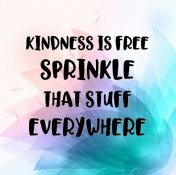 I made this list! WooHoo! 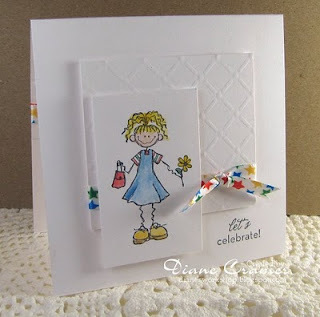 Challenge 3: Make a clean and simple card using pop dots (aka dimensionals) to create height and dimension on your card. Since I always use dimensionals on my cards, this was not a big challenge for me, so I tried a technique I had seen before and liked. 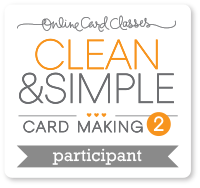 Challenge 4: Create a clean and simple card with a moveable part. It was fun seeing the great variety of cards that everyone made! I made a viewmaster card. Let me say right now that I will probably NEVER make one of these EVER again! So now the tension has built to a very high level. Who will make the finals? Ten people would be chosen, and I made the cut! Love it! What a GREAT time we all had. 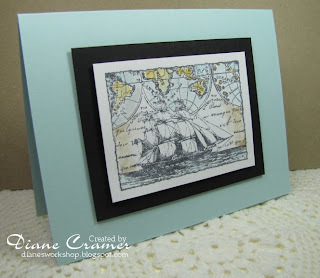 The last night was tense, particularly since Jen posted the guest designers a few at a time and left the design team to last! But I made the design team this summer! 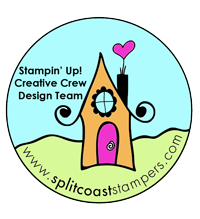 So for the next 3 months I'll be designing for Splitcoaststampers CAS design team! Cooool! I've tried for this for five competitions and I finally made it! So, I invite you to join the fun in the SCS CAS challenge forum every Monday for wonderful challenges! Congratulations, Diane! I'm sooooo happy you made the DT and can't wait to see your stuff ALL SUMMER LONG!!!!!!!!! I feel like the rest of us got the prize! And all your cards are gorgeous! Yay! 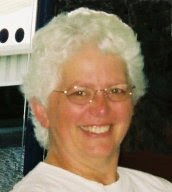 I am so happy you won! 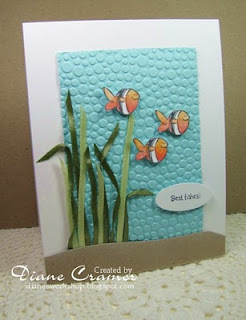 I absolutely love that fishy card. I still think of it (and I just saw it again here on your blog) from time to time. Do good, little Punchkateer! I can't wait to see your stuff! Oh my goodness you've been so creative! 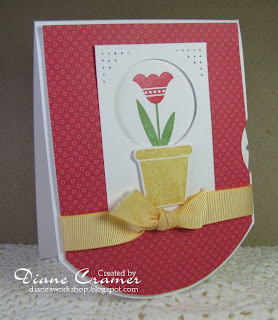 Fab cards - I think my fav is the tulip with the shaped base - but I love them all. 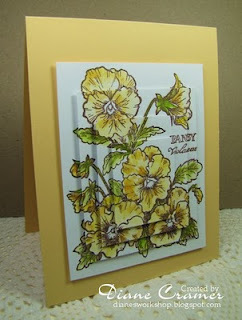 What fabulous designs, I love the cool way you popped up the pansies and textured the ocean .